There are two systems that emerge in adolescence that propel young folks into adulthood. One is motivation and emotion — as young adults move into the teen years they seek new rewards and want to branch out, travel, spend time with friends, develop ideals, compete hard in sports, get into good schools — see and do as much as possible. And they feel things very intensely. The other system is control — the prefrontal lobes develop, acting as a check to the newly surging emotions and aiding the adolescent in making good decisions, planning, and delaying gratification. These skills develop through trial and error — through the gaining of life experience. “In the past, to become a good gatherer or hunter, cook or caregiver, you would actually practice gathering, hunting, cooking and taking care of children all through middle childhood and early adolescence—tuning up just the prefrontal wiring you’d need as an adult. But you’d do all that under expert adult supervision and in the protected world of childhood, where the impact of your inevitable failures would be blunted. When the motivational juice of puberty arrived, you’d be ready to go after the real rewards, in the world outside, with new intensity and exuberance, but you’d also have the skill and control to do it effectively and reasonably safely. I want Gus to be book smart. But I want him to be “street” smart too, and know how to do the laundry, how to clean a house, how to cook — how to function like an independent adult. Chores give children hands-on training in the basic life skills they’ll need to thrive when they head out on their own, while also developing crucial traits like hard work, responsibility, and delayed gratification. In truth, manual tasks and higher learning go hand-in-hand. Doing chores has been shown to develop children’s large and fine motor skills; sorting laundry, sweeping, and digging in the dirt are great ways for children to develop and practice these skills. And this in turn makes them smarter. Studies show that young children who take part in hands-on activities, like chores, develop the parts of the brain that are needed for more abstract thinking like reading, writing, and math. To sum up: expecting your kids to do chores from an early age helps shape them into self-sufficient, responsible, well-rounded and well-adjusted adults. And studies bear this out. Alice Rossi, a professor of sociology at the University of Massachusetts Amherst found that doing chores as a child was a major independent predictor of whether that child would do volunteer work as an adult, and research by Marty Rossman, a professor at the University of Minnesota, has shown that one of the best predictors of success as an adult is whether that person started regular household chores at an early age. 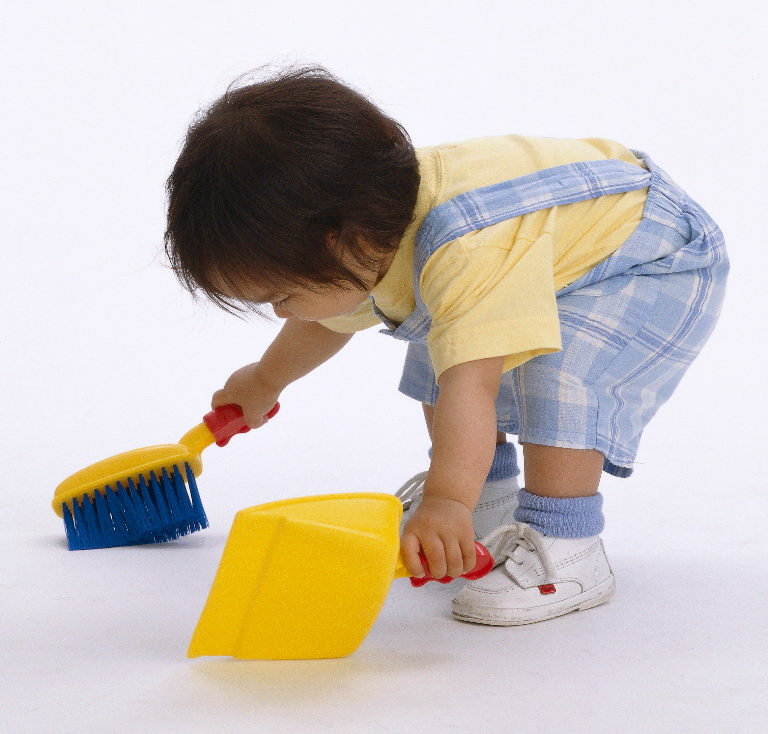 Begin giving your kids age-appropriate chores as soon as you notice them wanting to help and add to that list as they get older and can handle more complex tasks. A lot of parents have very low expectations of what their children can handle chore-wise — but even the littlest kids can really surprise you. Give them new tasks to try, and if they can’t do them, reintroduce them a little ways down the road.